We live in a difficult world in difficult times. Everyone, it seems, has an opinion, and it's not easy to figure out what to believe about life, why we are here, and what is the purpose of it all. We have our inner moral compass, and just when our instincts tell us we may be on the right track , someone we may look up to is caught in some area of moral failure, or a spiritual leader falls to the temptation of the world. Well, I found out the hard way (see "Testimony") that there is really only one uniform source of truth, and that's the Holy Bible. This tract is not to convince you of the veracity of the Bible, but instead is for folks who are past that step, and just don't know what to do with what they know is in the Bible. Before we get into the practical steps which lead you into receiving Jesus as Lord and Savior, let's look at some simple but profound facts, using the Bible as our standard of truth, otherwise this all would just be one person's opinion. I know that the Bible seems to have contradictions and inconsistencies, but really, that's only how it appears on first look. 1) He must be open and honest, so that he can be led of the Holy Spirit. The Bible is understood by Divine revelation, not by intellect alone. 2) He must receive the revelation in steps, as he lives out the principles of the Bible in his daily life. As you are led into what you need to know by the Spirit, and live out that which you discover, the seeming contradictions and inconsistencies seem to fade away, and the true harmony of the "whole counsel of God" becomes evident. So...the first revelation you need is of the Lordship of Jesus Christ. After that get ready for the rest of your life, as God produces in you the character and attributes of a true Christian. 1) Don't get religion, get relationship.The first step is not about churches, personalities or organizations. It's about getting right with God. After that God can place you in a fellowship of believers where you can grow. 3) Don't wait to get your life together before you get right with God. This is a "come-as-you-are" party. Jesus loves you right where you are. It's only he who can affect real change in your life, because real change only comes from the inside out. Our attempts at self-improvement usually are usually working from the opposite premise, and that kind of change seldom works, and NEVER works on the eternal level. 4) Don't make the mistake of thinking that you are too evil for God to forgive. The Bible says that "when we repent, He is faithful and just to forgive, and cleanse us fromALL unrighteousness. If you are truly repentant, there is nothing that cannot be forgiven. Jesus loves YOU, no matter what your past. "Your salvation cannot be learned. You don't need to go to Bible school to be saved. Wouldn't it be unfair if only theologically literate people could get right with God? No, God made this so simple that a 10 year old child can receive Jesus as savior..."
5) Don't think that if you become a Christian, that you won't have fun anymore. Hollywood, TV, books etc., have in general painted Christianity to be something for a bunch of losers..dried up prunes of people who have lost their zest for life. Not true. God will change your mind about what you think is fun, but true Christians have real joy in their lives and really know what real fun is. I'm glad the days of partying down and "having fun" without remembering what happened to me because I was passed out are over. What kind of fun is that? 1) Everyone in the world has missed God, and needs to be saved. No matter who you are, without Jesus in your life, you are lost. No matter how good a life you may lead, you are lost without Christ. Men have fallen from godliness and need to have relationship with God restored, which can only happen through the cross of Calvary. 2) Your salvation cannot be earned. This is something God has done for us, we can't earn it, we must just receive it. 3) Your salvation cannot be learned. You don't need to go to Bible school to be saved. Wouldn't it be unfair if only theologically literate people could get right with God? No, God made this so simple that a 10 year old child can receive Jesus as savior. He truly made it so simple that "the foolishness of God would confound the wisdom of the world." It's a matter of faith, not intellect. 4) You must recognize your need. You ARE a foul depraved Godless person, as we all were before receiving Jesus. Even the good things you do have a selfish agenda if you really be honest. You must be willing to call sin sin, and turn from it, change your lifestyle completely, pick up your cross and follow Him. Difficult club to join, you say? Yes, and I want you to know it isn't always pretty. It's losing your life for His sake that you may gain it back. It's suffering sometimes because you do the right thing. It's not easy. Don't join if you're looking for an easy way. Yet, at the same time this life is filled with joy and satisfaction. Think of the life that Jesus led. Full of suffering, rejection and pain, and yet Jesus was the happiest most well-adjusted person who ever lived, because He did it God's way. 5) You must receive Him by faith. You won't know all the answers, you may not even have thought of many of the questions. It's a matter of knowing in your heart that what Jesus said is right, then acting on it. 2) "They that call upon the name of the Lord shall be saved..." (Ro. 10:13) Self explanatory. So... How do I receive Him? It's so simple you may have a hard time believing it. No costly seminars to attend, no years spent in Bible school; only a simple prayer of faith. 1) Repent. Recognize your sinfulness and turn from your ways. Be willing to change what needs to be changed. "If we confess our sins, he is faithful and just to forgive us our sins, and to cleanse us from all unrighteousness. (1 John 1:9, KJV). 2) Receive His forgiveness. He died on the cross so that you may be forgiven. Your forgiveness was purchased 2000 years ago. Receive it now. 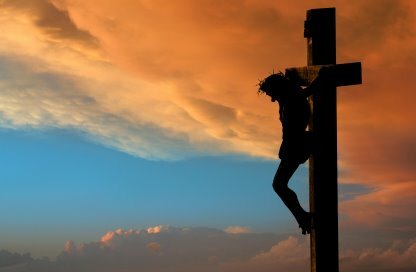 "For God so loved the world that he gave his one and only Son, that whoever believes in him shall not perish but have eternal life." (John 3:16, NIV). 3) Don't wait for a bolt of lightning. Most conversion experiences are not dramatic. You may or may not experience an emotional release, it doesn't matter, we walk by faith, not sight. 4) It is necessary to believe in Jesus deity, that He rose from death and conquered sin. This is something you must believe by faith. No one has pragmatic proof of these truths. But we do have the Holy Spirit who will confirm these facts to you by that "inner witness", that compass inside that says "this is true." 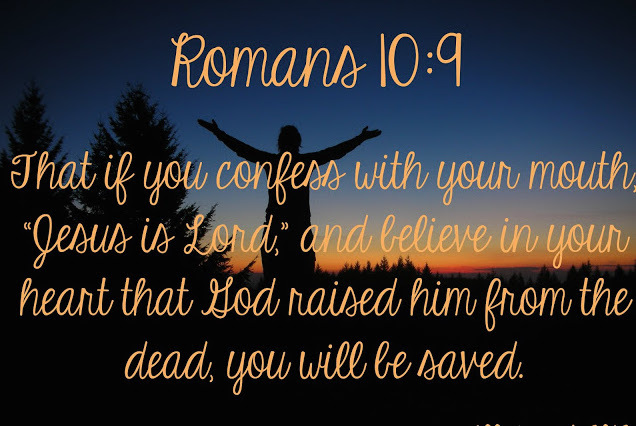 "... that if you confess with your mouth, "Jesus is Lord," and believe in your heart that God raised him from the dead, you will be saved. "(Romans 10:9, NIV). 5)" Confessing with your mouth." I believe there is power in spoken prayer. Try it now; say "Jesus is Lord", and feel the power of those words. "Jesus, I need you in my life. I've not been tremendously successful without you, and so now I'm going to try it your way. I repent of every wrong thing I've ever done, and receive the forgiveness that You offer. I believe that You are God, and that you died on the cross and rose from death to conquer all the works of darkness. 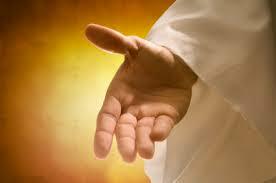 I surrender my life to You this day, and pledge to do my best to be obedient to You from this day forth. You have made me a new creation, and I am now "born again" of the Spirit of God. Because of You, I will go to heaven when I die. I pray all this in the Name of Jesus." *I'd love for you to let ME know. Email me at chuck@chuck.org (or fax me, or whatever) I'd love to hear what God did for you! 2) Get a Bible... Read it a little every day. Contact me, I'll send you one. Or get one from a bookstore or The American Bible Society, or even the library until you can find one you like. A couple of recommended modern translations, excellent for new believers are "GOOD NEWS FOR lMODERN MAN" or "THE LIVING BIBLE." "All scripture is given by inspiration of God, and is profitable for doctrine, for reproof, for correction, for instruction in righteousness:" (2 Timothy 3:16, KJV). 3) Find a church. "Don't forsake the assembling of the saints." God's got a home for you. Ask him to guide you to a good church. Contact me and let me know where you live and I might be able to guide you to a good church. "....not forsaking our own assembling together, as the custom of some is, but exhorting one another; and so much the more, as ye see the day drawing nigh." 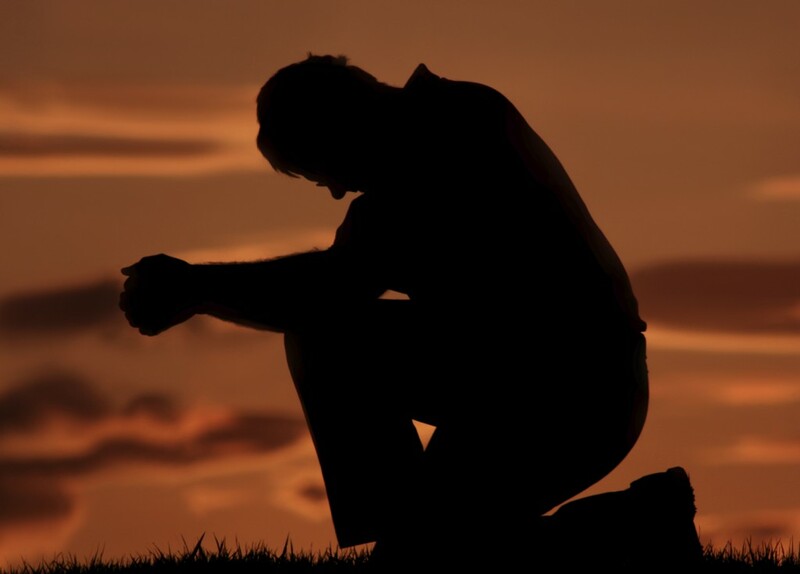 (Hebrews 10:25, ASV). .
4) Pray daily. Talk conversationally to God. The Spirit that is within you will put you in touch with Him. He does speak to us today, but you have to learn how to hear His voice.